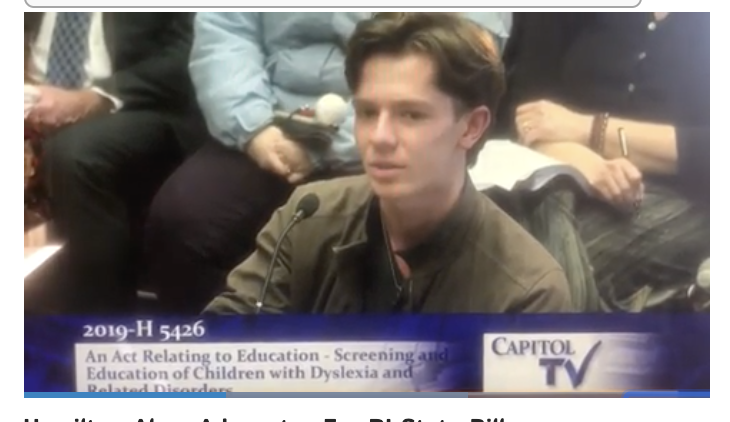 Last week at the Rhode Island Statehouse I had the opportunity to hear students, teachers, parents, national experts, and others speak in support RI House Bill 5426 designed to improve the education of students with dyslexia in public schools in the state of Rhode Island. The bill was drafted by Joe Maggiocomo, father of three dyslexic children. Joe is like any dad. He wants his children to be happy and to do well in school. It is strange, but when members of our society have been disenfranchised for years, a tacit acceptance emerges, and even, a rationale why improvement is not possible. Perhaps the solution is just too complicated and therefore nothing can be done about it. Another common reason expressed about why not to help these children is that it is too expensive to solve. Some others, relying more on alternative facts, say that the problem is not as significant as those with learning differences profess. In fact, dyslexia is the most common language-based learning difference that schools face. It can be diagnosed relatively easily and treated successfully with consistent approved methods. I have never met a person with dyslexia who could not learn to read and write. Last Wednesday evening many people spoke, including leading dyslexia experts, teachers, parents, and educational administrators. For me, it was the student voices that were so powerful. Over the years I have spent a large amount of time listening to adults recall painful events that happened to them in school while growing up (ie feeling stupid and alone, being bullied, etc.). I am always struck by how vivid, painful, and persevering those memories are, often haunting these people well into adulthood. But last Wednesday evening students were not whining or complaining. Students were proudly and confidently talking about how they initially felt stupid in school because no one told them what was going on with their brain. When they became convinced that the opposite was true and that they were, in fact, smart, everything changed because they believed they could be successful. Amazing that the simple act of believing can help change the educational trajectory of a child. I think everyone knows this from personal experience. 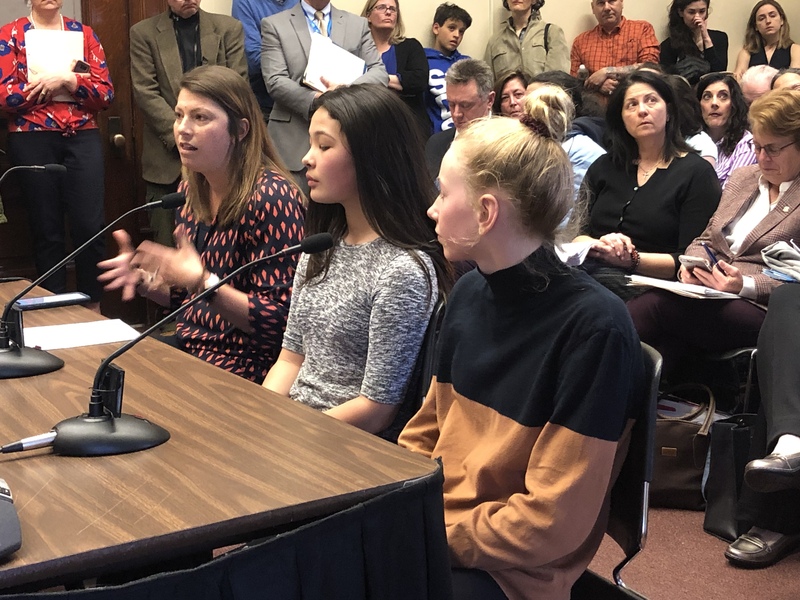 It does not happen every day that a class of people who have struggled have the opportunity to speak publically about a systematic policy (not diagnosing and treating) that disenfranchises them. It is even more impressive when these people who have failed, are children. 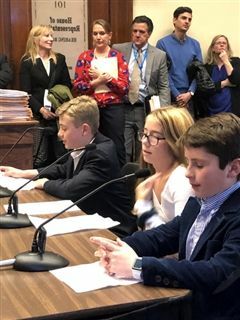 Essentially the Rhode Island House bill 5426 mandates early screening for dyslexia, specifically training and certifying teachers, and ongoing professional development for all teachers so that these children can be well supported in school. The students that spoke in support of this bill were attending or had attended The Hamilton School at Wheeler. All of them have been helped by attending a private school specializing in helping dyslexics. Their dyslexia will not hold them back in life. But who will speak for the children who have not had the opportunity that the Hamilton students have had? We can help all children with dyslexia. There is no excuse not to act. In the middle of first grade, my parents realized that my reading wasn't developing as well as the other kids. They heard about a school called Hamilton that could help me....They hadn't heard the word dyslexia before but when they heard the definition, it fit my learning style perfectly. What's It Like to Have a Learning Difference? The Hamilton School at Wheeler is a unique place, a "school-within-a-school" contained within The Wheeler School in Providence, RI., serving children from Rhode Island and southeastern Massachusetts communities. Founded in 1988 to serve bright elementary-grade children with language-based learning differences, the school celebrated its 30th anniversary in 2018. 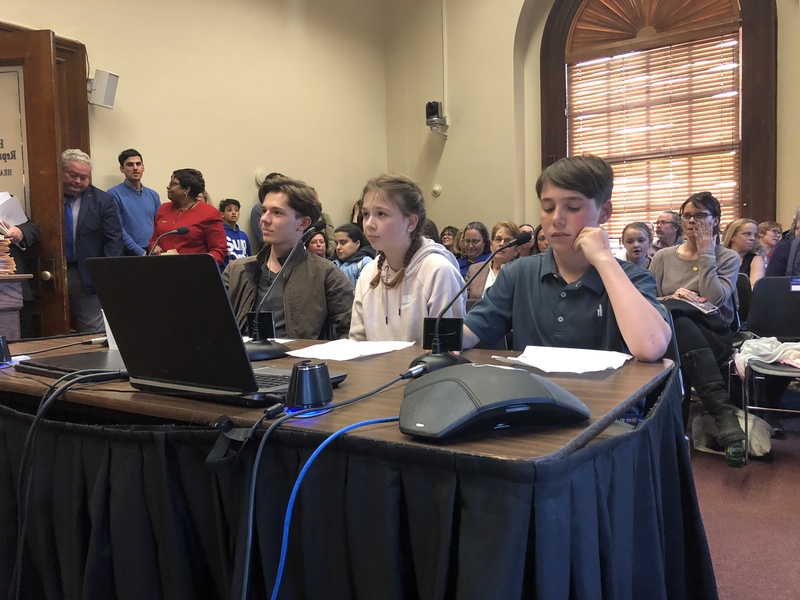 Many Hamilton students have been diagnosed with dyslexia (reading disorder), attention-deficit disorder (ADHD), executive function deficits, and/or specific language impairments.